Terrible drivers of the world: you now have a monument to your (lack of) skill behind the wheel. 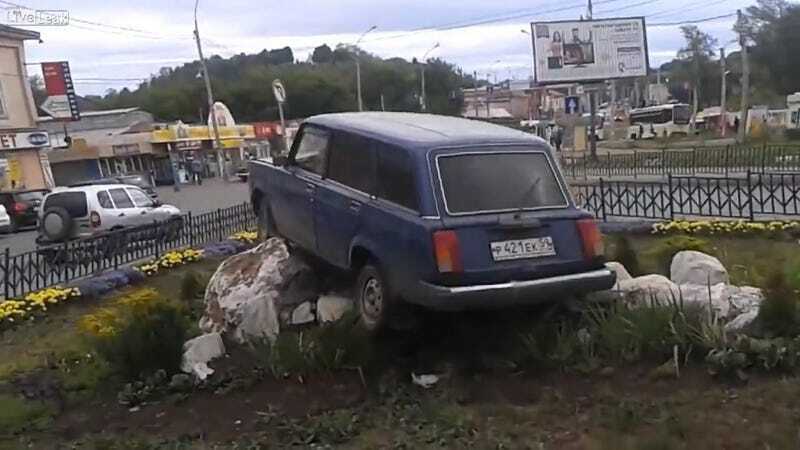 This Lada driver managed to crash in just such a way that their car ended up perched proudly in this city square like a king riding a horse into battle. It's... perfect. I say let this car stand, an enduring tribute to awful overtakers, sleep-deprived commuters, texters, drunks, and geriatrics the world over. And where else could it be but in the former Soviet East?